February 10, 2017 -- DrBicuspid.com is pleased to present the next column from two lawyers who spend every day defending dentists in litigation and before the licensing board. The purpose of this column is to offer our readers a fresh perspective on common practice and risk management issues from attorneys who litigate these issues in the real world. A 23-year-old recent college graduate presented to a general dentist (our eventual client) for a routine examination and prophylaxis. She had no symptoms involving her teeth or any part of her mouth, but the job she was about to start required that she have a dental examination before her first day. She was new to the area, so she found the dentist through an internet search. William S. Spiegel and Marc R. Leffler, DDS, are both partners at the law firm Spiegel Leffler in New York City. At the first visit, the dentist took a full-mouth series of radiographs and performed a clinical examination, using a periodontal probe to assess the condition of the periodontium and a sharp explorer to check for caries. The radiographs showed 32 erupted teeth with no restorations of any kind present in any of the teeth, no radiographic evidence of decay, healthy levels of alveolar bone, and no radiographic evidence of pathology. On clinical examination, visual findings were of a mouth with good oral hygiene and no staining on the teeth. When the dentist did his clinical check for caries, he found that the explorer "stuck" on all 20 of the posterior teeth occlusal surfaces and also some buccal pits. He advised the patient that she required occlusal and buccal fillings, which he would be able to accomplish with local anesthesia over the course of two visits. The patient agreed and the treatment went forward: The dentist placed 20 occlusal amalgam fillings and four buccal pit amalgam fillings. The patient experienced no postplacement pain, discomfort, or other symptoms. Several months later, she visited her parents while on vacation, and they noticed the many silver fillings in her mouth; she explained to them what happened. The patient's father was very upset, so he took her to see her childhood dentist, who had seen her last about two years earlier. This dentist examined the patient and, with her permission, asked the treating dentist to immediately forward to him his dental chart and digital radiographs for the patient. When they arrived by email, he made note that not a single one of the filled teeth had even a hint of pretreatment radiographic decay, and he did not see any clinical sign that there were likely any decayed teeth to have been diagnosed as carious by an explorer. The patient consulted with an attorney, who obtained records and discussed the situation with the childhood dentist. After that discussion, the attorney started a lawsuit for the patient against her new dentist. The allegations were of negligence for improperly performing fillings on virgin teeth with no indications of decay, and of "egregious, malicious, and outrageous acts" so as to constitute a basis for punitive damages. It should be noted that negligence claims are compensable to "make the plaintiff whole" by returning out-of-pocket expenses and paying for pain and suffering, all of which are covered by malpractice insurance policies. Punitive damages are meant to punish the wrongdoer for acts of egregious conduct, as compared with compensation. Punitive damages are generally not covered by malpractice insurance. The plaintiff sought $1.5 million, of which $1 million was pursued under the punitive damages claim. Simultaneously, the patient filed a complaint with the state's dental board, making essentially the same assertions as she did in her lawsuit. Radiographs: The issue as to whether occlusal and/or buccal pit decay is visible radiographically was the largest dispute in the case. Experts for both the plaintiff and our client agreed that occlusal and buccal decay is readily seen on radiographs once it is at an advanced stage; however, they differed regarding early-moderate decay. Our expert testified that early-moderate occlusal and buccal decay is not radiographically detectable, while the plaintiff's expert testified that any level of true decay on these surfaces will show at least some amount of radiolucency. Clinical "sticks" with an explorer: The plaintiff's expert testified that all degrees of occlusal and buccal caries will generally cause a sharp explorer to stick if it is applied with pressure, but that a superficial occlusal or buccal stick in a tooth with no radiographic decay, no staining, and no symptoms is not caries but actually a deep pit or fissure, not warranting anything more than watching it. The defendant's expert disagreed, testifying that one of dentistry's most basic principles is to eradicate decay early, so that it does not progress and cause greater problems. The expert's opinion was that, if a sharp explorer catches in a pit or fissure even without any other sign or symptom, it indicates decay in need of eradication, which is a principle taught in dental schools. Trial: At the close of the case, we made a motion, asking the judge to dismiss the punitive damages claim. We argued that there was nothing egregious about a dentist exercising the judgment that he learned in dental school and had been employing for his patients for more than 25 years, and we stated that had he not treated the teeth involved and allowed the decay to grow unabated, he could very well have been sued for neglect of dental decay. The judge agreed, reasoning that an exercise of judgment based upon established dental principles, especially when strongly supported by a well-credentialed expert, does not rise to the level of acts worthy of punishment; the issue of negligence, however, was left for the jury. Once the punitive damages claim was dismissed, the settlement demand was reduced to $500,000. The jury returned a verdict in favor of the defendant. Regulatory body action: While we do not feel that we should divulge the details of these proceedings, suffice it to say that the body took an approach similar to that of plaintiff's expert and levied both a fine and suspension against the dentist. As with all aspects of dental practice, it is important to be able to justify the treatment performed. It is an immutable fact that some dental and oral conditions that do require treatment cannot be seen radiographically. When that is the case, in the interest of proper documentation and reduction of risk, photographs (possibly even showing an explorer "sticking" or a stained tooth surface or a soft-tissue lesion), and/or detailed descriptions of conditions are in order. Document the patient's chart in whatever ways necessary to prevent -- or at least reduce -- the potential for second-guessing in the future, including on the parts of other dentists. It should go without saying that it must be only the patient's needs that are to be fulfilled. Personal motivations of the dentist cannot come into play. That is not to say that all viable treatment options should not be disclosed to patients; to the contrary, they must be disclosed as part of the informed consent process, but only the patient has the right to make the ultimate decision: Talking patients into more expensive treatment plans is an action we see all too often in our practice. The case also highlights the interplay between court proceedings and dental board matters, showing that the outcomes are not always consistent. Here, a jury found that the dentist acted appropriately based on expert testimony. Despite being cleared of any liability or fault in a court of law, the state board made its own determination and found misconduct on the part of the dentist. 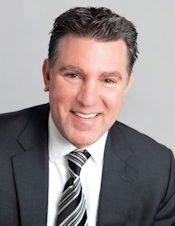 William S. Spiegel, Esq., is a partner at the law firm Spiegel Leffler in New York City. He is a former assistant corporation counsel to the City of New York -- Medical Malpractice Division. 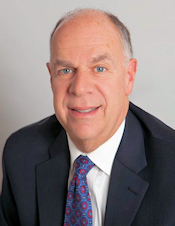 Marc R. Leffler, DDS, Esq., is also a partner at Spiegel Leffler. He received his dental degree from Columbia University, completed a residency in oral and maxillofacial surgery at New York University, and is a diplomate of the American Board of Oral and Maxillofacial Surgery. Disclaimer: Nothing contained in this column is intended as legal advice. Our practice is focused in the state of New York, and there are variations in rules of practice, evidence, and procedure among the states. This column scratches the surface on many legal issues that could call for a chapter unto themselves. Some of the facts and other case information have been changed to protect the privacy of actual parties.